HD, colour, stereo, 22 min. 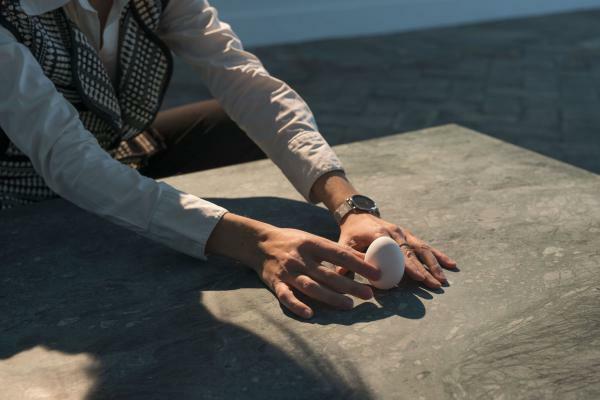 It is with great pleasure that MLF | MARIE-LAURE FLEISCH – Rome presents Dynamis, a show by Nina Fischer and Maroan el Sani, during the same period as their solo-exhibition Freedom of Movement at MAXXI – Museo Nazionale delle Arti del XXI Secolo in Rome. Working together since 1995, these two artists have experimented with various techniques, such as photography, film and video installation. 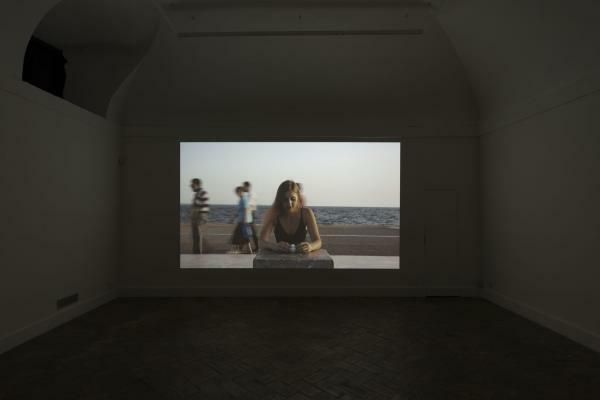 Their research focuses on the relationship between contemporary society and those once physical places of references, such as political, artistic or social centres, that have lost their original function. Now both the lived and the imaginary appear to be forged together in these new utopian spaces symbolic of an almost mythological past. By redefining their current identity, the two artists intend to restore these places for modern conscience. Their videos narrate stories that investigate both this change in perception as well as the concept of physical and intangible transformation: the former involving architecture seen as a place of shared human experience, the latter as the immaterial sedimentation of common memory. 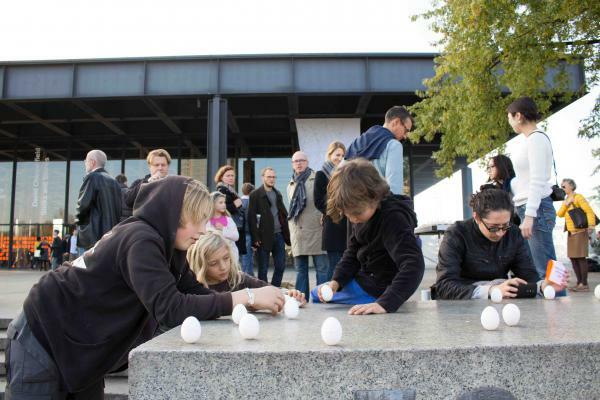 The video Dynamis, was commissioned in 2014 by the Contemporary Art Center of Thessaloniki and was also exhibited that same year at the Neue Nationalgalerie in Berlin as part of the Festival of Future Nows, initiated by Olafur Eliasson. 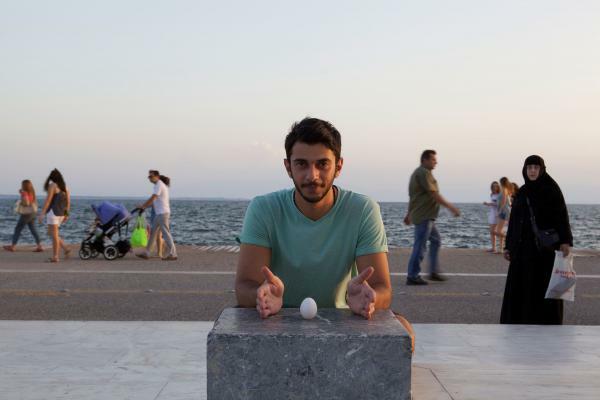 The video work is the result of a collective cultural performance by people that Nina and Maroan randomly met in the city of Thessaloniki. 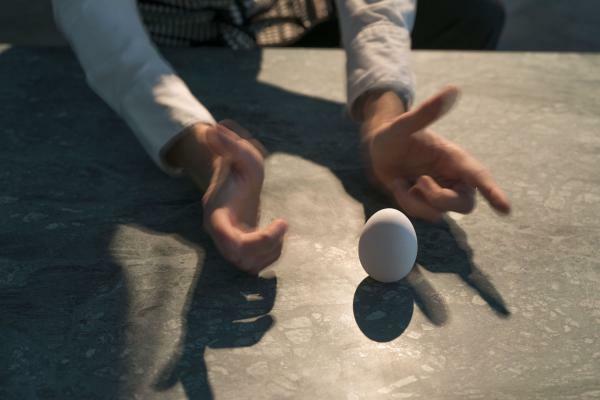 The only request made was to carry out an exercise that required patience and precision: simply to balance an egg upright. The setting is simple with alternating backdrops of marble or granite that characterise the public areas of the city; the roads running along the seafront or those from the park to the square, the architecture of the National Bank of Greece. This is the setting in which these people are engrossed in their solitary experiment which is first and foremost a personal trial requiring concentration to complete; indeed, the task can last from seconds to minutes. The repeated cycle of rise and fall down again is a metaphor of the alternating cycles of success and failure that characterise the social and cultural transformations needed to achieve a stable and balanced society. This same performance was repeated during the projection of the video at the Neue Nationalgalerie in Berlin. 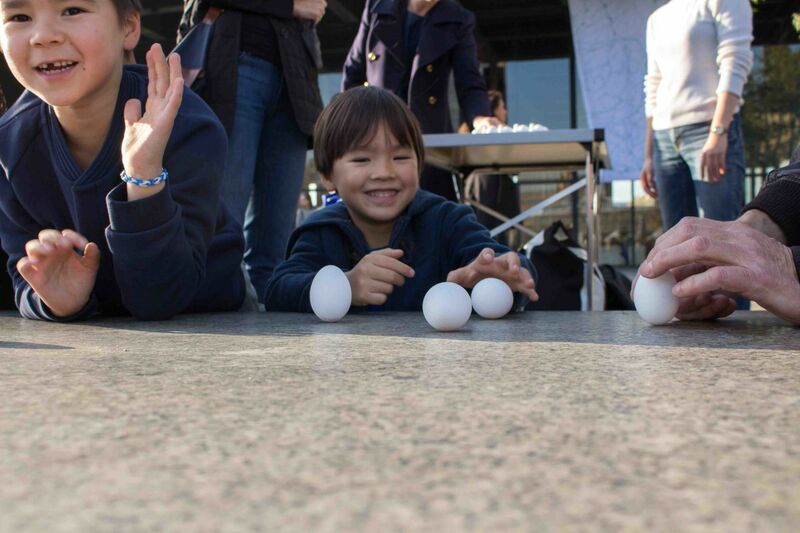 This time the participants were asked to balance the egg on the innumerable flat surfaces of the external perimeter of Mies van der Rohe's modernist architecture. Now again in the gallery the artists seek to involve the public by asking the visitors to test their skills. 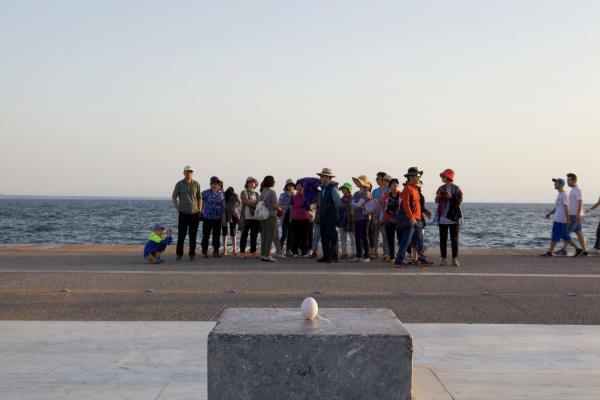 Thus, in addition to the video work, the artists have prepared an installation consisting in a block of marble placed in the centre of the gallery space, and beside this, a container for eggs. Visitors will be faced with the simple yet complex form of the egg and their perseverance in the task is seen as symbolising the constant effort required to find an equilibrium between our inner and outer beings. Born in Emden, Germany, 1965. Born in Duisburg, Germany, 1966.